Exclusively revealed this week by The Guardian, the NHS stands accused of covering up a patient data loss of more than 500,000 pieces of medical correspondence between GPs and hospitals between 2011 and 2016, including test results, diagnoses and treatment plans. In total, the actual number of data pieces lost stands at over 700,000, although 200,000 are change-of-address forms. The remaining data, however, includes biopsy results, screening tests and care summaries, all estimated to affect around 500 patients. Rather than reach their respective healthcare professionals – as they should – the files were mistakenly stored in a warehouse by NHS Shared Business Services (SBS). NHS England has assembled a 50-person-strong team to investigate whether the data loss has resulted in inefficient care or the deaths of any of the 537 ‘live cases’. Called to the House of Commons to discuss the issue, Health Secretary Jeremy Hunt fielded a number of questions from MPs and industry experts, some of which, unsurprisingly, queried the speed of the NHS’ digital health record implementation. “Isn’t it time patients are given direct control of their data?” queried Sarah Wollaston, MP for Totnes and former GP. Philippa Whitford, MP for Central Ayrshire, Scotland, pointed to the fact that Scotland has not had postal correspondence for several years, and said England’s delay to adopt such a system was nonsensical. 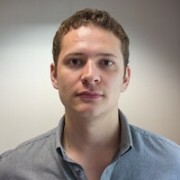 Tony Pepper, CEO and founder of Egress Software Technologies described how a digital system would never have resulted in a postal error of this magnitude. Hunt’s response was one of agreement tinged with caution over the security on online data. He cited the 2014 appointment of Fiona Caldicott as the first National Data Guardian as a step to recognise and address this issue. The scandal comes at a time when the NHS is gearing up for its next wave of digital efforts with the impending arrival of nhs.uk. The system will act as a sole personal health record and resource for health information, letting users view their personal health information and book appointments with GPs, among other functions. However, considering the system’s history of digital data mishandling, this week’s news again raises questions over its capability to properly safeguard patient information. The long-derided care.data scheme, launched by the NHS to kick-start patient data sharing across health organisations, ended last year following three years of poor communication over its purpose and a million people opting out of a scheme they had been automatically opted in to. 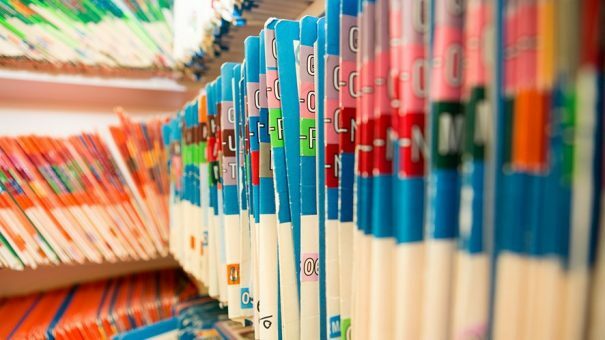 Concerns over the NHS’ data security guidelines were brought in to question once again with the revelation of an agreement between DeepMind Health and the Royal Free NHS Trust to share the clinical data of 1.6. million patients, in relation to the company’s patient notes app Streams. Although this week’s news didn’t concern digitised data handling, will its data security deficiencies bleed into its envisioned digital form? Formerly known as Google Life Sciences, Verily has struck several health-related deals in the past few years, giving it fingers in a number of different pies. One of its biggest deals is with continuous glucose monitoring (CGM) tech developer Dexcom as part of its ‘Miniaturised CGM’ project. Forged back in 2015, the partnership is developing a miniaturised patch ‘designed to enable continuous subcutaneous monitoring of interstitial fluid that may be less burdensome for those required to measure their glucose levels’. “The early data from G6 has been very impressive. Assuming this performance is replicated in the pivotal trial, we believe G6 will represent the next major paradigm shift in continuous glucose monitoring performance standards,” he said. Once the G6 is released, the product co-developed with Verily will be released, as it relies on G6 technology. Sayer predicts the first joint-CGM device will be commercially available by the end of 2018, with a possible second generation version by 2020. Details about the Dexcom-Verily CGM device are light, although Verily cites wireless connectivity capabilities allowing for simple, secure data sharing and tracking of continuous glucose levels. Once released, the CGM will have plenty of competition, thanks to an explosion of innovation in this market last year. ‘Artificial pancreases’ are causing a stir, with Bigfoot on track to launch the first truly automatic insulin pump, while Intarcia’s innovative under-the-skin mini pump recently had its New Drug Application accepted by the FDA. Facebook’s health activities have mostly gone under the radar, aside from the Chan-Zuckerberg Initiative – formed by Facebook founder Mark Zuckerberg and his wife Priscilla Chan to solve the world’s biggest problems (which includes healthcare issues). Something perhaps less well-known about Facebook is its effort to decrease suicide rates around the world through its suicide prevention tools, which have actually been available on Facebook for over 10 years. Developed in partnership with Save.org, National Suicide Prevention Lifeline, Forefront and Crisis Text Line, among others, the tools help users flag concerning posts to Facebook, which then reviews posts and provides those experiencing suicidal thoughts with a number of support options. This week, the company announced it would upgrade its suicide prevention tools with AI to help make reporting of concerning posts easier and quicker. The experimental addition will rely on pattern recognition in posts previously reported for suicide to help distinguish new posts likely to include thoughts of suicide. Facebook’s Community Operations team will then review the posts and provide support if necessary, even if the post has not been flagged by another user. The technology will be integrated into Facebook Live, the company’s live video-streaming service, as well as in its existing live chat support services provided by crisis organisations through Messenger, the company’s instant messaging service. 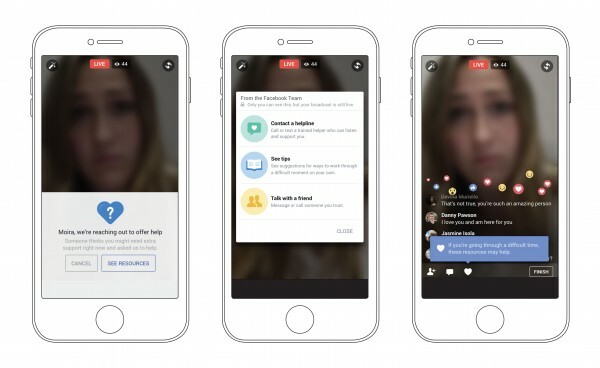 Those watching a Facebook Live video will now have the option to reach out to the person directly and report the video while Facebook provides the watcher with resources to aid their communication with the person in need. For the person posting the video, resources will appear on screen letting them contact a friend or help line. Facebook Live will now display options to contact helplines, self-help tips and the ability to contact friends directly through the broadcast. In terms of contacting crisis organisations, users will now have the ability to message someone directly from the organisation through their Facebook page or Messenger. Those organisations participating include Crisis Test Line, the National Eating Disorder Association, and the National Suicide Prevention Lifeline. The test will begin in the US, although the company aims to roll it out across its entire platform.